Seven Seas Entertainment has been on a roll lately, haven’t they? First, they come out with My Experience with Lesbian Loneliness which slammed through the internet and bookstores like a wrecking ball. Then last year they followed up with its sequel, My Solo Exchange Diary, and other one-shots like The Bride was a Boy and Claudine. Claudine was written by Riyoko Ikeda in 1978, just a few years after her megahit Rose of Versailles hit the scene. Rose of Versailles was originally supposed to be a historical fiction work centered on the life of Marie Antoinette, but the handsome and noble soldier Oscar, who was assigned female at birth but lived as a man, quickly became the most popular character. Soon after the manga’s publication, Rose of Versailles was adapted for the Takarazuka stage. The stage production was so popular, it financially saved the all-female theater troupe. Enter Claudine. I had always thought that perhaps Naoko Takeuchi was the first mangaka to take the characters from the fantastical world of the Takarazuka Revue and put them in the real world. 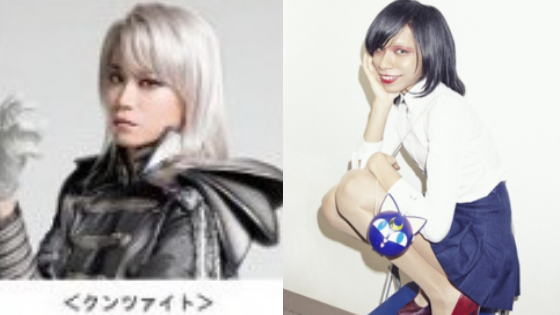 Our favorite lesbian power couple Sailor Uranus and Sailor Neptune were modeled after Takarazuka actresses–and instead of portraying a heterosexual relationship as they would in a Takarazuka production, they are a lesbian couple. However, I was wrong. 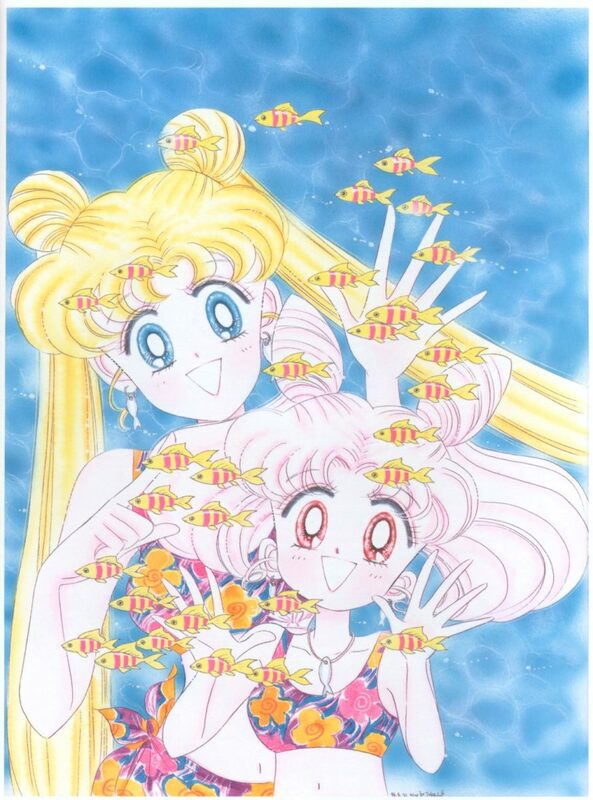 Riyoko Ikeda was placing these characters in the real world more than a decade before Sailor Moon hit the scene. WARNING: SO MANY SPOILERS FOR CLAUDINE! Content Note: In Claudine, the title character is referred to as female throughout manga. However, in this article I’ve used male pronouns to reflect Claudine’s gender preference. This follows how the translator and others have referred to Claudine as well. In the past, I’ve written about some trans metaphors in Sailor Moon regarding the Sailor Starlights. But obviously, sometimes metaphors aren’t good enough. And while Sailor Moon gave us the best lesbian power couple ever, it’s 2018—how do trans issues fit into Sailor Moon? 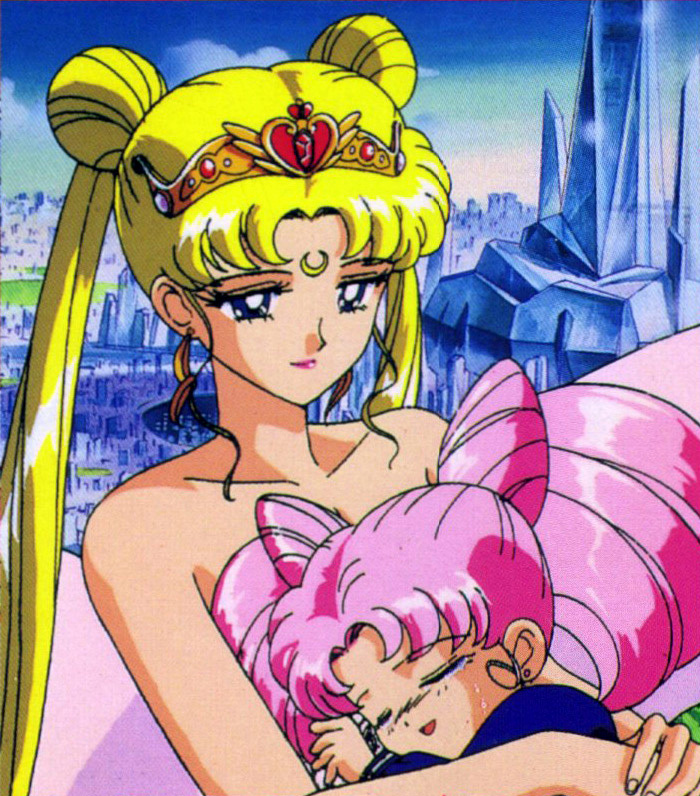 I’ve always thought that since trans women are women, trans women have always had a space in Sailor Moon. But since the manga and anime are over, how can that made crystal clear? Well, I’m happy to report that I have two wonderful examples to share with you! We plan to cover all five seasons–so please enjoy! I wrote up some fun pros & cons lists for Sailor Moon R, so I’ll post that with the next podcast–stay tuned! Please visit Anime Feminist for the time stamps. And as always, please support Anime Feminist and Shojo Power! on Patreon. Episode 3 of the Shojo Power Podcast is now available on SoundCloud! Also, I have some exciting news–I’ve finally created a Patreon in conjunction with the podcast! Pledge now before Monday, September 24th 2018 5:30 EST and you could be part of our next podcast! Episode 2 of the Shojo Power Podcast is now available on SoundCloud! Just FYI, this episode discusses body image issues like weight and dieting. Please follow so you can review our monthly podcast. And in case if you missed it, here is our first episode where we compare and contrast the first episode of Sailor Moon Classic and Sailor Moon Crystal. In the Summer of 2018, the Sailor Moon S and SuperS movies were released in North American theaters. Growing up, the Sailor Moon S movie was my favorite—although now, having viewed the R and S movies back to back, I do agree with most fans—the R movie is the best. That said, the S movie still holds a special place in my heart. Who doesn’t love Human Luna and understand her heartbreak? Another reason I love the S movie is that it has a less fantastical moon princess in it, astronaut Himeko Nayotake. 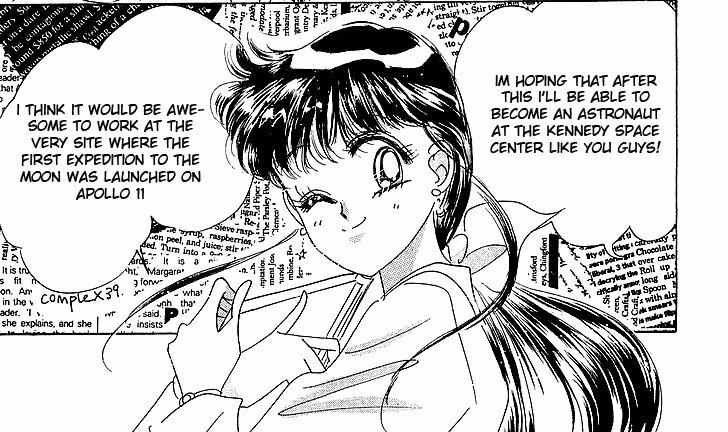 In Sailor Moon Short Stories 2, Naoko wrote extensive notes on where she drew inspiration from for this story. Naoko writes that she flew all the way to Kennedy Space Center to watch Dr. Chiaki Mukai launch into space. On whim, I googled Dr. Mukai’s name and discovered that this wasn’t any ordinary space launch. With this launch on July 8th 1994, Dr. Mukai would become the first Japanese woman in space. Happy 5th Birthday Shojo Power! It’s that time of year again! 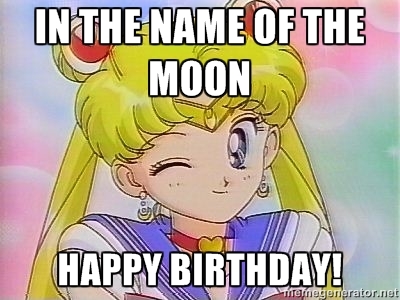 Each year I’ve celebrated Shojo Power!’s birthday in July. Can you believe it’s been five years? 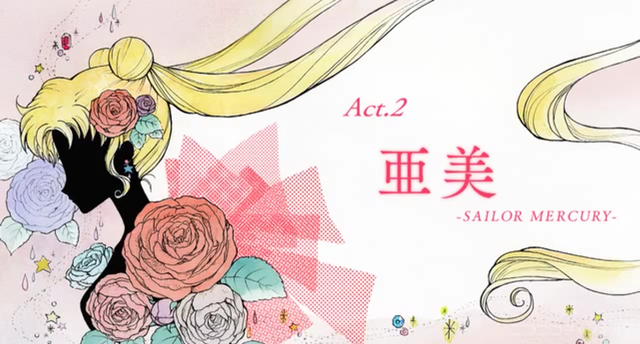 It amazes me that the 90s Sailor Moon only lasted five years and here we are, six years since they announced the reboot and we still have two seasons to, more musicals coming and more merch! Onto the Top 5 stats! By now most of us have seen the magnum opus of the Marvel Cinematic Universe, Infinity War Part 1. It’s a film that has a WHOLE LOTTA death that has spawned the most delicious memes. It made me think about other films and cartoons that have a whole lotta death, and behold! You know what has a whole lotta death in it? Sailor Moon! In fact, there’s so much death in Sailor Moon, I could be here all week! Death in the manga! Death in the anime! Death in the live action! Death on the stage! But, I shall restrain myself. 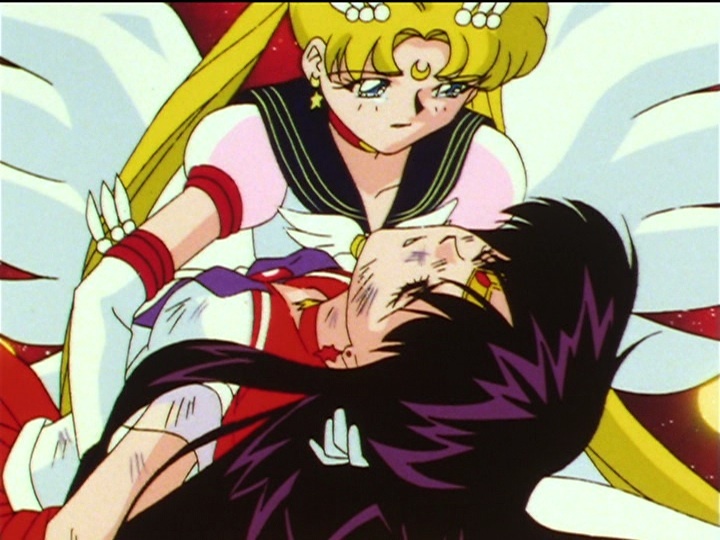 I decided to put together a top ten list of the deaths that were most impactful to me across all incarnations of Sailor Moon. Here we go! When Kodansha re-released the Sailor Moon manga in 2013, I was ecstatic. I eagerly purchased the new volumes even though I owned all the old Tokyopop editions. Based on the second generation format of collected volume that were released in Japan in 2003, in this edition, all of the side stories were taken out of old volumes and collected in two separate volumes–Sailor Moon Short Stories 1 and 2. It had been a while since I had read the manga, and I had mostly forgotten about the side stories. I was eager to revisit them with some fresh eyes. While most of them were as fun as I had remembered, it was Chibi-usa’s Picture Diary #2: Beware of Tanabata that left me the most confused and frustrated.